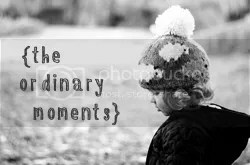 Since I started to join in with this wonderful link up, I’ve written lots and lots about my beautiful little children living our ordinary but in my eyes – extra ordinary life together. Something that takes my breath away at times is the bond my girls share. One day they are the best of friends and the next they can be annoying each other about who’s the best at doing a puzzle and so on. The one thing I have noticed, even though they are only just 4 and 2 and a half years old is that whatever day they seem to be having, they always show each other the most amount of unconditional love. If they have a disagreement – they will make up immediately, they like to make sure they’re still “best friends”. If they’re watching a movie, all they want to do is find comfort in each others presence, snuggle up and grab each other if in need of a squeeze. This is completely adorable and beautiful to witness. It also reminds me of myself and my younger sister Poppi. Even though she is almost ten years younger than me, we used to be like this as kids. I always felt like she was my baby really, I would look after her all the time, take her out with me everywhere, take her with me to my dads when there was trouble at our mums, just to make sure she was safe and to not see what we witnessed quite a lot in some years, which was a lot of arguments and violence in the home. I just knew I needed to keep her content. She use to look at her big sister with a trustful look and knew I’d be there for her, regardless. and we’re still close now. We have arguments, mostly silly little ones yet we feel the need to reconcile, reconnect and make sure we’re both ok and not upset. We don’t see each other all the time, but we just know that if we need one another, we’ll be there. And this is how I want my ‘little sisters’ to be, and even so with their little brother. I want them to stay close, stick together if times get tough and above all – love one another unconditionally throughout their lives. My ordinary moment here lies with the fact that it can seem like a very normal thing to have a sister. Something that some people may take for granted, but it should be treasured. I feel so lucky to have a sister, she will be my friend for life. The same goes for the fact we have an older brother, no matter what life throws at you, you should all stick together. Our little trio in November 2014. Patience, Diminishing a dark cloud, and being you.